His in-person apology proves as out of character as his anti-gay outburst – only this time he did (and said) the right thing. 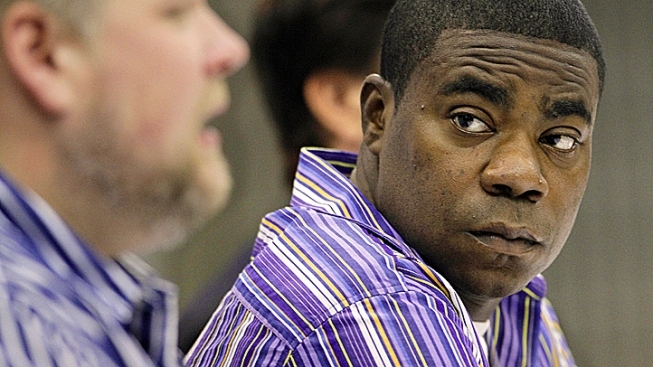 Tracy Morgan is trying to make amends for anti-gay statements. Perhaps the most compelling aspect of Tracy Morgan’s public apology Tuesday for his anti-gay outburst was his dead-serious, thoughtful tenor: This is a side of the comic we’ve never seen over the last 15 years of him playing the clown. The in-person mea culpa proved as out of character as his homophobic rant in the guise of alleged comedy earlier this month – only this time, he did (and said) the right things. Morgan’s remarkable performance may have just saved his career. “I don’t have an angry bone in my body,” he told a room full of reporters in Nashville, where he made the controversial anti-gay statements. That quote goes to the heart of what’s been so puzzling about Morgan’s routine, in which he said he would stab his son to death if he learned the child was gay. We expect Tracy Morgan to be irreverent and bawdy in his stand-up act, and generally goofy and self-obsessed as his spoiled TV star character Tracy Jordan on “30 Rock.” We don’t expect him to use his appealing brand of humor as a tool of irrational anger – and certainly not hate. Tracy Morgan "Cried" When He Watched "Rio"
Jamie Foxx, Anne Hathaway, Will.i.am, George Lopez, Tracy Morgan and Jesse Eisenberg talk about "Rio" at the animated film's Los Angeles premiere. Morgan's return performance Tuesday in Tennessee came across as heartfelt – he didn’t appear to be reading from notes, and while he clearly put some thought into his words, the statement didn’t seem to be overly rehearsed. Sitting next to Morgan was Kevin Rogers, the audience member whose Facebook account of the comic’s June 3rd appearance at the storied Ryman Auditorium spurred the backlash. Rogers’ presence Tuesday was no surprise: Morgan has made the all the right moves in terms of damage control, quickly working with the Gay and Lesbian Alliance Against Defamation, releasing statements of apology, meeting with gay youths and agreeing to tape an anti-bullying PSA. Video of the offensive routine hasn’t surfaced – so perhaps the strongest, longest lasting images of the sorry affair we’ll have are of Morgan’s news conference and him hugging Rogers. All of that works in the comedian's favor in terms of a smooth comeback. Alec Baldwin & Tracy Morgan: Is Alec Running For President? Alec Baldwin offers praise to President Barack Obama for his jokes at the 2010 White House Correspondents' Dinner in Washington, D.C. 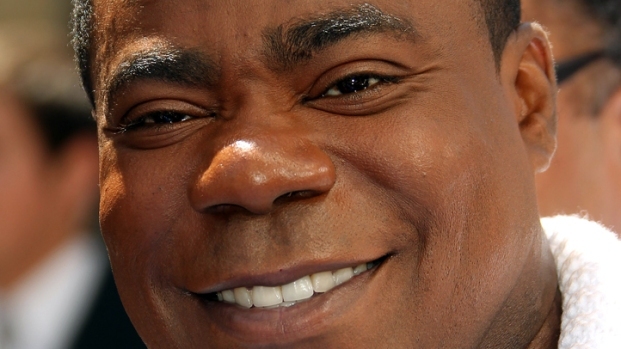 He jokingly announces he will be running for president, but will Tracy Morgan be his running mate? It also didn’t harm Morgan’s chances that he appeared believably repentant when declaring, “I don’t believe that anyone should be bullied or just made to feel bad about who they are” and that humor should "heal people, not hurt." But Morgan was at his most convincing when, in talking about his capacity for change, he cited how Richard Pryor stopped using the N-word in his comedy act after visiting Africa in the late 1970s. “I have an opportunity to change my message on stage,” Morgan said. The comedian who has given us some funny characters showed some serious character on Tuesday. Let’s hope that this time we saw the real Tracy Morgan.